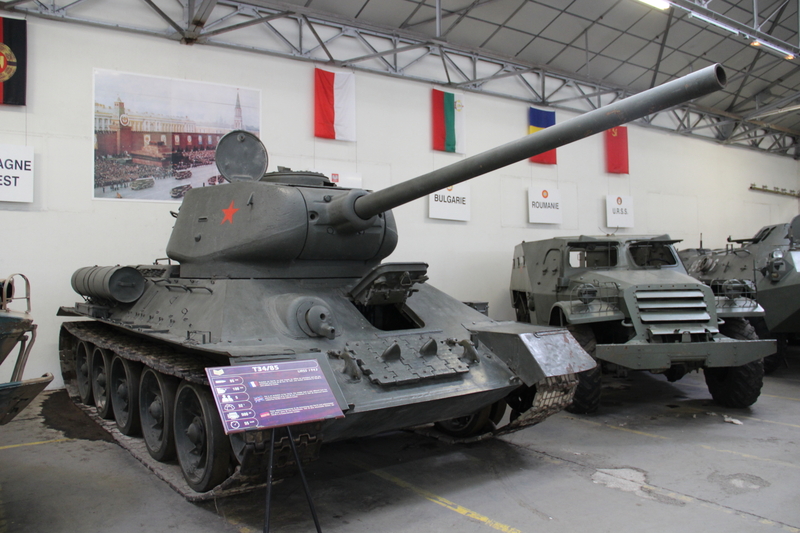 For the second Tank Myths article I have decided to talk about some myths on the Russian T-34. It’s considered by many a revolutionary tank and by far the best tank ever built during World War II. My personal opinion is that it was highly overrated and exaggerated. Myth #1 – T-34 was the first tank ever to use sloped armour and nothing could penetrate it. It is widely believed that the T-34 was the first tank ever to use sloped armour. However this is not true, French tanks like SOMUA S35 and R35, which had fully cast hulls and turrets, already had sloped armour. In World War I, sloped armour had been partially implemented by the French on their first tank, the Schneider CA1. Sloped armour reduces the tank volume, resulting in reduced space for internal modules and crew space. It limits the gun size, one of the major points against sloped armour. Sloped armour changes the centre of gravity in the tank. We can correctly say, that it was the first mass-produced tank to fully use the advantages of sloped armour, but it’s highly incorrect to say it was the first tank ever to use it. Another myth about sloped armour, is the fact that nothing could penetrate it. There is some truth behind this, as when the first T-34/76 showed in the battlefields, the German Army wasn’t prepared for it. Up to that point, German Command never thought it would be necessary to issue high penetration rounds to their troops, because what they had been using was more than enough to deal with the Russian tanks. So for the first few months, the Russian tanks were a threat on the battlefield, but soon after the German Army was supplied with high penetration rounds, and their Panzer III and IV were updated with better guns to deal with the T-34. While in the first months they were virtually indestructible, quickly this was nothing more than a myth. In 1941 the Russian Army got issued 2,800 T-34s, by the end of the year, 2,300 had been lost to the German guns, and if you look at numbers from 1942 to 1945 this doesn’t improve at all. The T-34 is claimed to be a cheap tank to build, having quite low production costs. Again, this is just imagination and a widely spread myth. The reality is that the T-34 was built in such great numbers because of huge production facilities in the Urals. Gigantic facilities were built there, with American assistance in the pre-war years, and they were the reason for the mass production. Germans also used the advantage of huge facilities for mass production, when they built the Nibelungenwerk factory in St. Valentin, Austria. 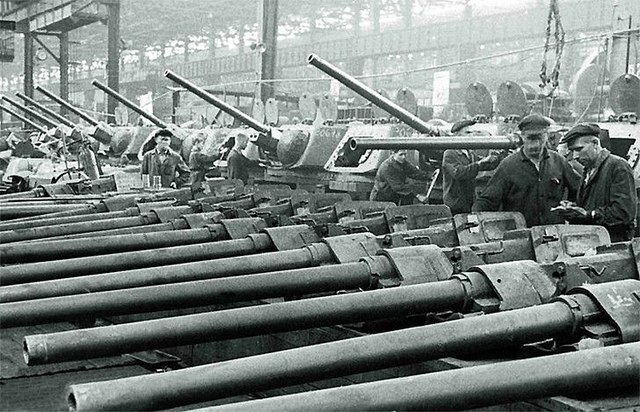 This factory alone was the biggest manufacturer of Panzer IVs and Panthers in huge numbers. When it comes to price, it’s estimated that the T-34 would cost around $45,000 to $50,000 for each tank built, but is this production price really cheap? When compared to the Sherman that cost $45,000 to build and the Panzer IV with a production cost of $45,500, the T-34 seems to lose its cheap label. Even when we look at the materials used in the production, the T-34 had an aluminium engine, something the Germans decided not to use on their tanks because it was too costly for them. Conclusion: the T-34 wasn’t a cheap tank and the reason they were built in great numbers was the direct result of the USSR industrial capabilities they had during the war. Another myth is that the Russian Army had so many T-34’s attacking the German lines, that in the end of the war they overwhelmed the Germans with their numbers, making losses much smaller. The truth is, they have built around 57,250 units from 1941 to 1945, but they also lost about 44,900 during the war, that is 78% of all T-34’s built during wartime. 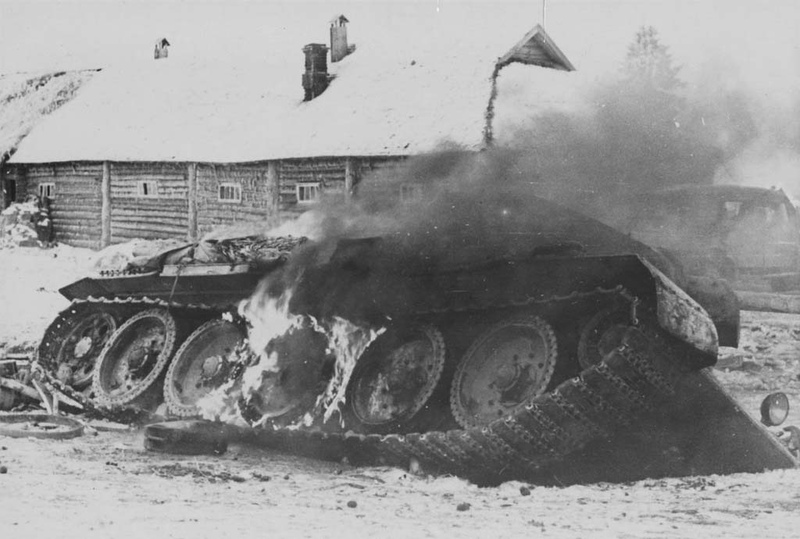 T-34 losses were massive, especially to the end of the war, when the Russian Army just wanted to rush to Berlin. In 1944 the Russians had built 13,950 T-34’s and lost 13,800 of them, in 1945 in just 4 months of war they managed to lose about 7,500 out of the 12,110 built in that same year. So, the Russian Army didn’t overwhelm the German lines with T-34’s, but with a wide variety of Armoured Fighting Vehicles (AFV) together with the sheer number of troops. At the end of the war out of the remaining T-34’s, it’s estimated that only half of them were in operational condition and even then, they represented less than 50% of the total number of tanks available.